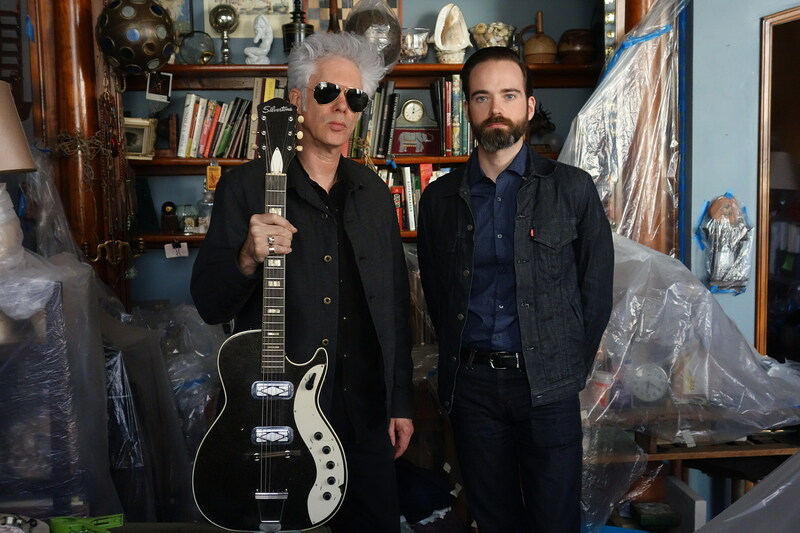 SQÜRL, the trio led by filmmaker Jim Jarmusch (with Carter Logan and Shane Stoneback) will release EP #260 on July 14 via Sacred Bones. The EP features three new songs, plus remixes by Föllakzoid and Anton Newcombe of Brian Jonestown Massacre. You can listen to the sludgy dirge of “The Dark Rift,” and check out the EP artwork and tracklist, below. Speaking of Sacred Bones and Jim Jarmusch, the filmmaker joined Moon Duo for a special collaborative set at the label’s 10th anniversary show, which was part of this year’s Red Bull Music Academy.